On Monday, July 27th, the Guardian published three reports on the persecution of Christians around the world. Two of the reports – including ‘Dying for Christianity‘ by the Guardian’s former Jerusalem correspondent Harriet Sherwood – don’t mention Israel. However, the third report – co-written by several reporters, including the Guardian’s current Jerusalem correspondent Peter Beaumont – included a section on anti-Christian persecution (mostly vandalism and arsons targeting churches and mosques) in the Jewish state. 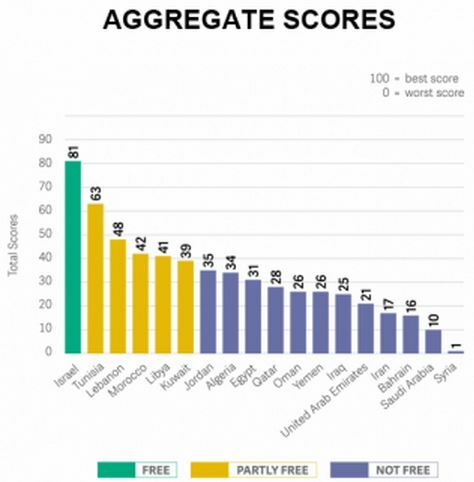 The report included a section on Israel despite the fact that the state was not included in their list (in the report shown above) of top 25 most anti-Christian countries. This of course is a rhetorical sleight of hand. By using the words “Holy Land” instead of “Israel”, he’s able to include the population of Christians in Israel and the Palestinian-run territories. Since the population of Christians has dwindled significantly in Gaza and the West Bank, the overall population in the “Holy Land” has decreased. However, Beaumont fails to note that the Christian population in Israel itself has increased significantly since the state’s founding. According to the Israel Central Bureau of Statistics, there were approximately 34,000 Christians living in Israel in 1949, whereas 161,000 Christians were living in the state by the end of 2013. Indeed, Israel is the only country in the Middle East where the indigenous Christian population is growing. Beaumont may not have explicitly claimed that Israel’s population has declined, but that was the clear impression created by the context and the language. So, once again, the Guardian has found a way to obfuscate the Jewish state’s clear progressive advantages in the region. Doesn’t matter. Almost all of the nearly 2000 below-line comments lambasted Arab and Muslim states over their treatment of Christians with scant reference to Israel. On the whole, the Guardian scored an own goal with this article. “Jews are facing a new and resurgent antisemitism”… New? ?